← Can we accelerate the coming of the Messiah? It’s not that I have to, I get to!! Curried lamb, lemon sauteed asparagus, spiced carrots, salad, avocado and wonderful matzah along with a glass of Josh. This Feast stuff is such a burden… NOT!! And on the fifteenth day of the same month is the Feast of Unleavened Bread to the Lord ; for seven days you shall eat unleavened bread. 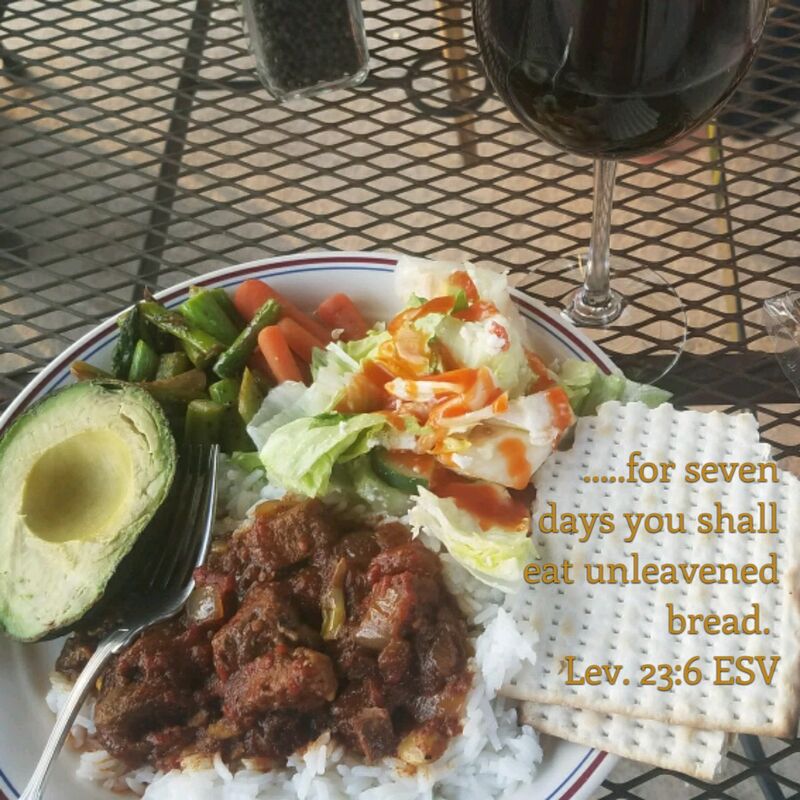 This entry was posted in Holidays v. Feasts, Visual Scripture and tagged feast of unleavened, healthy food, lamb curry, Leviticus 23, Matzah, recipe. Bookmark the permalink. 2 Responses to It’s not that I have to, I get to!! Why do we count the omer? Good question, and I’m not sure we really know…. yet. The obvious simple answer is to bring us to Shavuot, but I think most agree that there is more, but we just don’t know what.